The symptoms of TB are very variable and depend on the type of TB. The type of TB is the part of the body that has been infected. It is very difficult to diagnose TB just from the symptoms, as the symptoms can often be the same as those of another disease. So to diagnose TB it is always necessary to do at least one TB test. If you have symptoms this is known as active TB. But if you have in your body the bacteria that cause TB but you do not have any symptoms this is known as latent TB. https://medlineplus.gov/ency/article/000624.htm Generally the types of TB that do not affect the lungs. The main exception to this is the type of extrapulmonary TB known as Pleural TB. The general symptoms of extrapulmonary TB are the same as for pulmonary TB, but there can then be specific symptoms relating to the particular site or sites in the body that are infected. http://emedicine.medscape.com/article/960858-overview The only symptoms of TB lymphadenitis may be painless slowly enlarging lymph nodes, as there are often no general TB symptoms. The swollen lymph nodes are often in the neck area, although they can be in the groin. 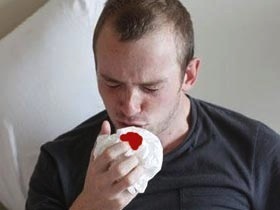 http://www.nhs.uk/Conditions/Tuberculosis/Pages/Symptoms.aspx For example TB in the kidneys can cause blood in the urine. 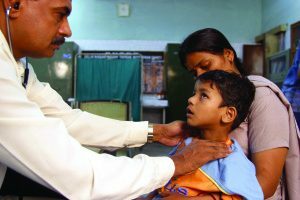 In a similar way to adults the symptoms of TB in children depend on the type of TB that the child has. Children usually have pulmonary TB and the symptoms are usually a chronic cough, a fever and failure to thrive or weight loss. www.who.int/tb/challenges/childtbtraining_manual/en/ Disseminated or Miliary TB, such as TB meningitis particularly occurs in children less than three years old.